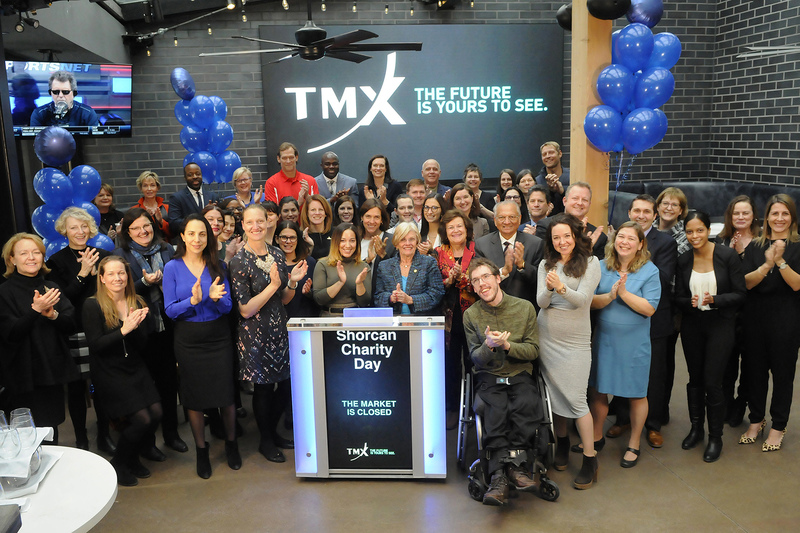 January 19, 2018 (TORONTO) – Shorcan Brokers Limited (Shorcan), TMX Group's fixed income interdealer broker, held its 20th Annual Charity Day on January 18, 2018 raising more than $630,000. Each year, Shorcan donates revenue from the trading day to a variety of designated charities. Proceeds generated from yesterday's trading activity brings the total amount raised to over $9.1 million since the inaugural event in 1999. "We are proud to mark the 20th anniversary of Shorcan Charity Day in support of organizations effecting positive change across our communities and helping people in need around the country," said Peter Conroy, President, Shorcan. "We thank our valued clients for generously pledging their support over the years to help establish this event as an annual success."